I t is a situation which poses dangers but more specifically presents opportunities as well. Opportunities to exchange information, to educate and to correct misperceptions. On the other hand it also results in the fact that each and everyone in the furthest corners of the world can now voice an opinion on matters which from afar they may not be able to evaluate and assess correctly or even understand at all. This poses the risk that minorities – unfortunately, hunters have become a minority – are wrongly condemned out of ignorance and lack of knowledge, or with deliberate intent. It is a matter of grave concern for us when hunting clients who make an important contribution to nature conservation in Namibia are publicly defamed back at home in Europe or the US. NAPHA’s board has taken an explicit decision in favour of maximum transparency and intends to take a stand in public on topics involving trophy hunting. 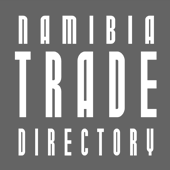 The HuntiNamibia magazine is a crucial platform which portrays regulated hunting. One of the biggest worldwide concerns in this day and age is the destruction of our environment and the displacement and elimination of many animal and plant species. The need to experience nature in its original state is particularly noticeable in people who have become detached from nature and suddenly realize that their environment is no longer in good shape. Especially those who more or less still live in close touch with nature – and hunters are at the forefront of that group – are doubtlessly able to appreciate and fully understand this need. Opinions differ, however, when it comes to the practical aspects of living with nature, or the meaningful utilization of nature. Hunting is one of the major issues that often cause complete incomprehension on both sides. For example, hunting for desert-adapted lion and elephant in north-western Namibia always arouses public criticism. NAPHA has taken a public stand on these matters and tries to explain the concept of sustainable utilization of natural resources and continue to apply it for the best of our game populations and our natural environment. The concept is based on the realization that in the long term natural habitats will only last if they can produce financial gains which at least match the income made with agricultural activities or other forms of utilizing such areas. Another realization is that big game like elephant, hippo, lion and others are tolerated only if the crop and livestock losses caused by them can be compensated through the concept of sustainable utilization of these species. The concept of sustainable utilization is a valuable principle of applied nature conservation especially in the rural areas of Africa. In Namibia this concept is applied with particular success. For farmers it is a way to earn good money, which may offset fluctuating prices for livestock and losses caused by drought. 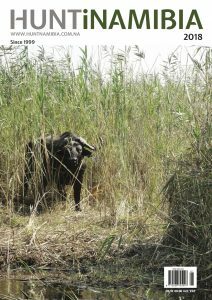 In remote communal areas people have recognized the value of game animals and therefore take an interest in their protection. Nature and wildlife are the winners in both cases. Regulated trophy hunting is one of the cornerstones of this concept. Trophy hunting generates foreign exchange earnings, creates jobs and supports or complements a whole range of other businesses – such as taxidermists, forwarding agencies, souvenir sellers and many more. Trophy hunting is strictly regulated Namibia and contributes significantly to the preservation of natural habitats. It is a simple, meaningful and functionally flawless concept, which has been tried and tested in the field. But it is also necessary to discuss the emotions of those who want to challenge this concept all the time. A public estranged form nature objects to the killing of animals. On the one hand they want nature as it is, but on the other hand they want nature to be nice and convenient. Life in the wild is always a correlation between hunter and prey. Everything in nature is based on food chains and natural cycles, on the system of ‘eat and be eaten’ Putting it simple, all living beings fit into the following pattern: There are ‘energy producers’ (roots, grasses, shrubs, trees) and there are those that ‘store’ energy, i.e. the animals, subdivided into herbivores and carnivores. And lastly there are the ‘decomposers’, organisms like bacteria, which feed on waste products. Through them the energy is returned to the soil from where the plants regenerate it for the eternal cycle of life. No part of this cycle is ‘good’ or ‘bad’. An antelope eats grass, a lion eats the antelope, vultures and hyaena eat the lion, bacteria decompose the remains of the antelope, the lion and the vultures, and the cycle starts all over again with the growth of plants. Man with all his attempts to intervene has only managed to wreak havoc. The result is the devastating destruction of nature that we see today. Do we still need or want nature (which often tends to be inconvenient)? It seems that most people definitely feel the need to preserve our natural environment. So, if the answer to the question “do we still need nature” is “yes”, then we need to accept nature as it is. Then an antelope cannot be perceived as ‘good’ and a lion as ‘bad’. Man, in contrast to the lion, has a conscience. But man is very well part of nature and should know and respect nature’s laws and regularities. And if in principle it is not wrong that an antelope is killed by a lion, it cannot be reprehensible within the scope of the natural context that a human being engages in hunting activities – as long as he does so in a sustainable manner and adheres to ethical principles. A hunter is simply a person who enjoys a primeval activity. There is nothing reprehensible if a tourist breaks away from his hectic everyday life of a modern ‘industrial being’ in order to experience the mechanisms of nature, participate in them and enjoy a natural environment during his vacation. Trophy hunting is strictly regulated in Namibia and contributes significantly to the preservation of natural habitats. Thus it is an important form of applied nature conservation. A trophy hunter sees the activity of hunting as experiencing nature in a primeval kind of way. A better understanding of this activity may serve anyone with an interest in nature as an elementary part of the fundamental understanding of the natural world. This article was first published in the HuntiNamibia 2015 issue.